From warm Irish hospitality to exquisite food, outdoor adventure to ultimate relaxation, Delphi Resort is the place to escape to, to enlighten your lust for life, awaken your senses and truly embrace Ireland’s magnificent landscape and scenery, all from the comfort of the 300 acre resort. Delphi Resort is located in the heart of the scenically breath-taking Delphi Valley, near Leenane, Connemara, Co. Galway, Ireland. With its stunning scenic location, Delphi is a world apart and a haven for romantic getaways, special occasions, adventure-filled family holidays and wellness escapes. Food is central to the Delphi Resort Connemara experience. With so many adventure options on offer, it’s no surprise that their food menus are just as varied and full of exciting things to try. The entire experience at Delphi Spa in Connemara is one of tranquillity and relaxation with a focus on natural healing and rejuvenating practices. Delphi Spa is surrounded by some of Ireland’s most inspirational landscape, set within the 300 acres of forest at Delphi Resort. Nestled at the foot of the majestic Mweelrea mountain range, it is truly a unique place where you can escape, unwind and let yourself drift into a state of serenity within the tranquil surroundings. Delphi Adventure Centre in Leenane provides a range of land and water activities in Connemara and Mayo including surfing in Louisburgh, coasteering in Westport, zip lining in the 300 acre Delphi forest, kayaking on the Killary Fjord, plus many more! 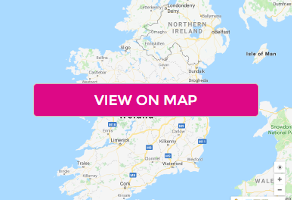 Go walking in Connemara or cycle the Wild Atlantic Way in the Bay Coast area – taking in the sights of Westport, Doolough, Leenane, Kylemore Abbey and many more. Additional persons: Max. 2 additional children may stay in the room BB only. Children under 3 years old: free of charge. Children between 4-17 years old: a surcharge of €25 per child per night, breakfast included. Surcharges payable to the hotel directly.